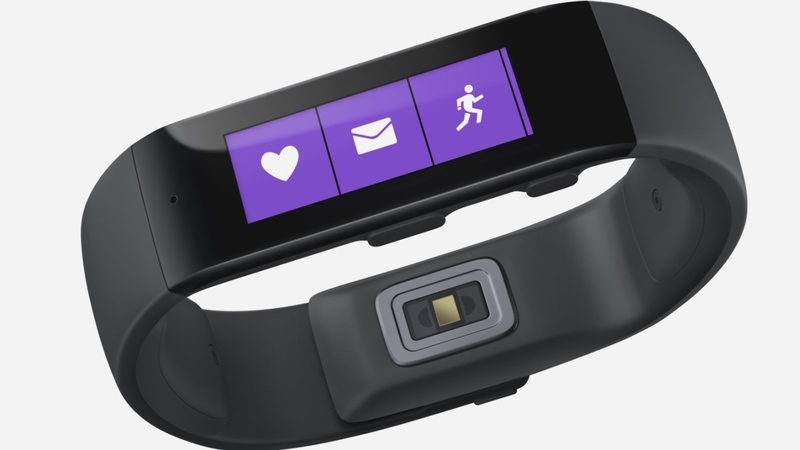 We were all expecting a Microsoft smartwatch to arrive before Christmas but nobody was expecting a fitness band, and nobody was expecting anything to launch before October was even finished. 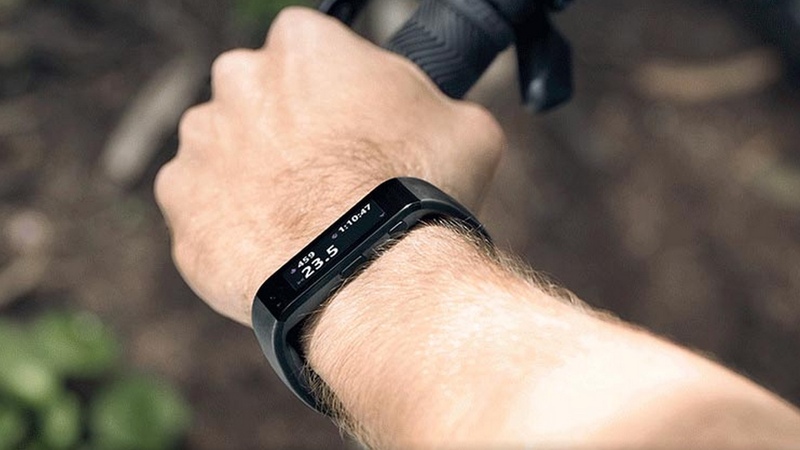 But that's exactly what's happened as the Redmond tech goliath has unveiled the Microsoft Band - its entrant to the activity tracker market to take on the likes of the Fitbit Charge, the Jawbone UP24 and the Garmin Vivosmart. 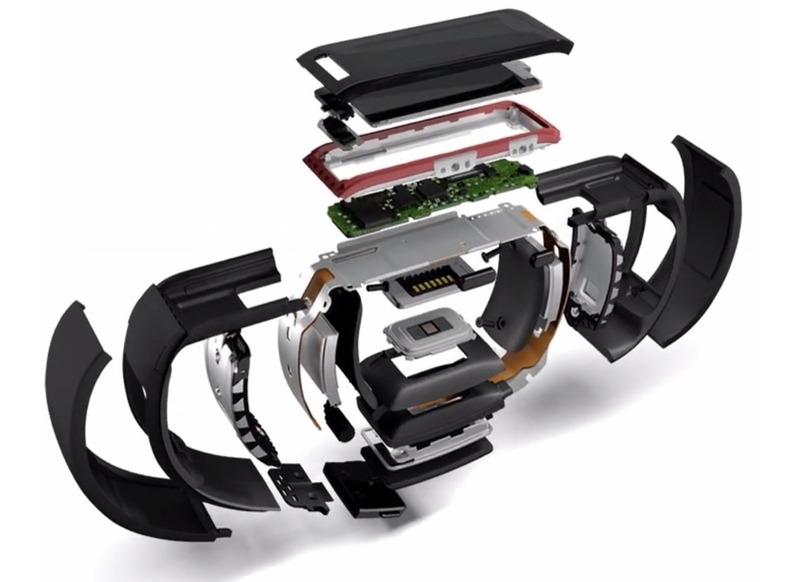 And, with the features and spec sheet of the Microsoft Band officially revealed, it's clear we could be looking at the new daddy of the fitness tracker genre. Rocking the Modern UI tiles that we've come to, er, love on Windows 8 and Windows Phone, the Microsoft Band packs in all the usual lifestyle recording functions that we've come to expect from this form factor such as step counting, calorie burn recording, and sleep quality analysis. 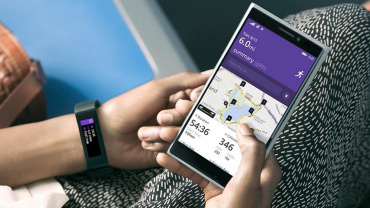 Where Microsoft takes this further is by packing in 24 hour rate monitoring (as per the Fitbit Charge and the Intel Basis Peak) as well as GPS connectivity. Yep, that's GPS built right into the Band, so there's no need to carry your smartphone around with you to accurately record and map your runs. Talking of smartphones and Microsoft has not made the foolish decision of locking its Band into the Windows Phone platform - it plays nicely with Android and iOS as well. The Microsoft Band lets you see how well you're doing against your activity goals by providing real-time updates right on your wrist, and the Band learns about you over time to make the tracking and objectives more personal. 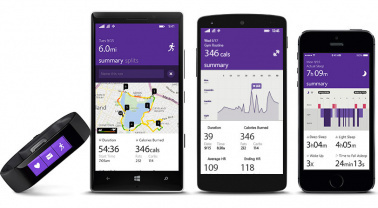 Another trump card for the new fitness tracker are the guided workouts that are built right into the Band. There's also a UV monitor for assessing whether you need to sunscreen-up or not and, of course, Cortana is on board for voice controls. 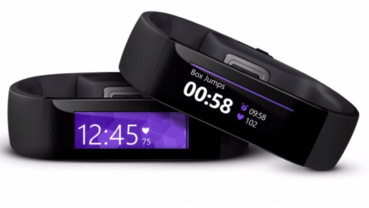 The Microsoft Band also boasts some smartwatch skills like email previews and calendar reminders as well as call, text, social media, weather and finance information. The spec sheet is pretty impressive. That full colour display is a 1.4-inch, 320 x 106, TFT one and there's a wealth of sensors on board including the optical heart rate sensor we mentioned, a 3-axis accelerometer / gyro, a gyrometer, GPS, an ambient light sensor, a skin temperature sensor, a UV sensor, a capacitive sensor and a galvanic skin response sensor. 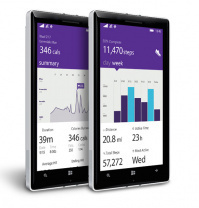 Microsoft is stating two days battery life and just 1.5 hours for a full charge. It's splash resistant, but not water resistant. 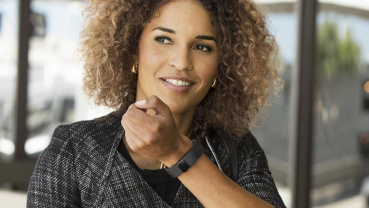 As well as unleashing its new wearable, Microsoft also announced its Google Fit / Apple Health rival by the way of Microsoft Health - a platform that ties in health and fitness data from a range of devices and apps. With the Microsoft Band there are already partnerships with MyFitnessPal, RunKeeper, MapMyFitness, Gold's Gym and Starbucks in place. 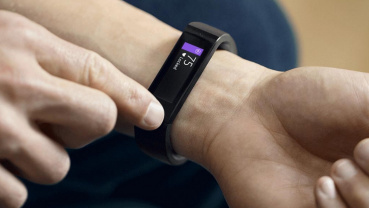 We'll be getting our hands on a Microsoft Band soon, so expect a full review on Wareable in the coming days. If you live Stateside, you can order yours now.